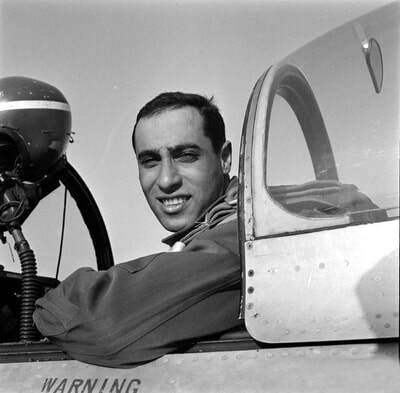 Captain James Jabara downed two MiGs on 20 May 1951 to become an ace. Capt. 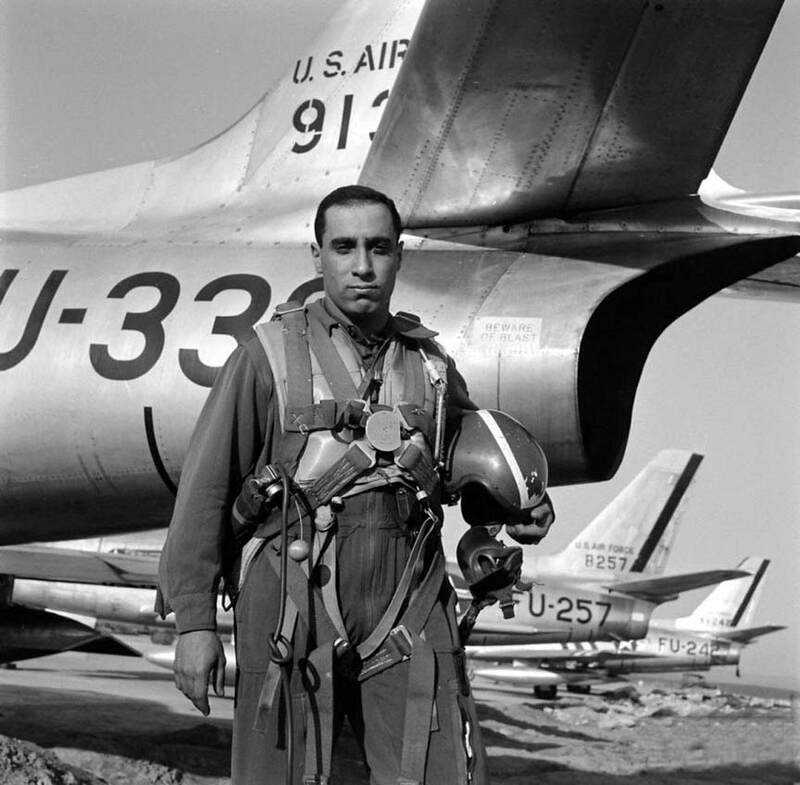 James Jabara flew with 334th FS, 4th Fighter Interceptor Wing during the Korean war. 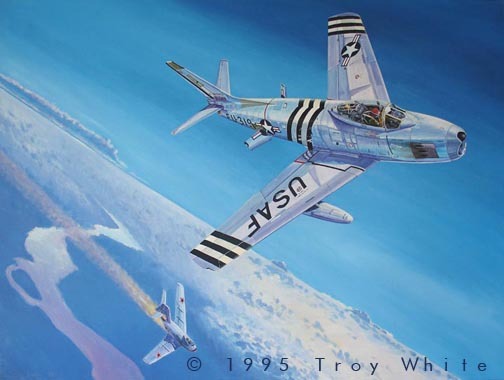 "Jabby's Big Day" depicts his flight on May 20, 1951. On that date he scored two victories despite the added drag from a drop tank that would not release. 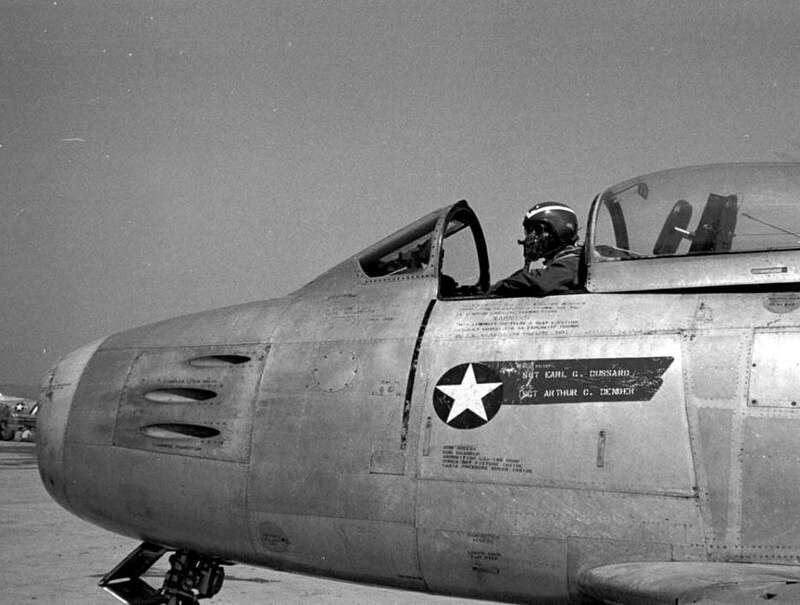 These two victories raised his score to six MiGs and he became the world's first all jet ace. Jimmy returned to the states to much fanfare shortly after his achievement but returned for a second tour with the 4th FIW and splashed nine more MiGs by war's end. 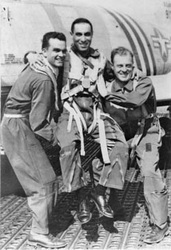 Jabara was also credited with 1.5 victories during WWII while flying with the 363rd Fighter Group. 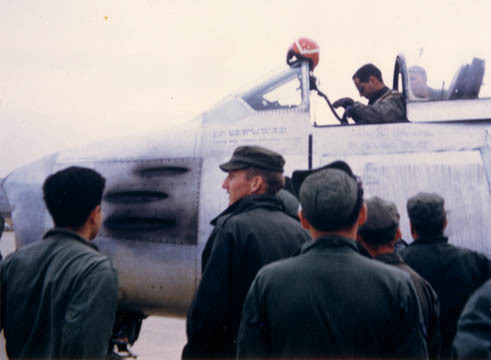 Jabara returned to the United States in July 1953 and remained in the Air Force. While attached to the the 43d Bomb Wing, Jim piloted the world's first supersonic bomber, the Convair B-58 Hustler. In 1965, Jabara was given command of the 31st Tactical Fighter Wing based Homestead AFB in south Florida. In 1966 Jabara was promoted to Colonel and was the youngest USAF officer of that rank at the time. Jabara was about to deploy to Vietnam when on 17 November 1966, he and his 16-year old daughter Carol Anne died in a car accident in Delray Beach. James Jabara was awarded the Distinguished Flying Cross with Oak Lead Cluster and the Air Medal with 18 Oak Leaf Clusters during WWII. During the Korean war he was awarded the Distinguished Service Cross, the Silver Star with Oak Leaf Cluster, the Distinguished Flying Cross with three Oak Leaf Clusters and the Air Medal with four Oak Leaf Clusters.